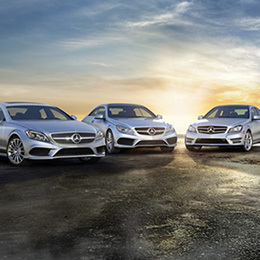 Beyond the assurance of a painstaking certification process and 24-hour Roadside Assistance, every Certified Pre-Owned Mercedes-Benz now comes with industry-leading coverage: an unlimited mileage warranty for up to three years. The McGeorge family of dealerships has been a trusted partner in the greater Richmond community for nearly 60 years. We’ve earned our reputation by consistently delivering an excellent service and ownership experience every step of the way, offering our customers the best and most sought-after luxury and commercial vehicles, and treating our employees with the utmost respect. Mercedes-Benz of Richmond has an outstanding selection of new vehicles, including popular models like the GLC SUV, E-Class Sedan, CLA Coupe, and many more. Whether you’re seeking an elegant luxury SUV, a stylish full-size sedan, or a sporty convertible, we’ll make sure you get exactly what you’re looking for. Our dealership even offers a unique European Delivery program where you meet your Mercedes-Benz in Germany before it’s delivered to our dealership. 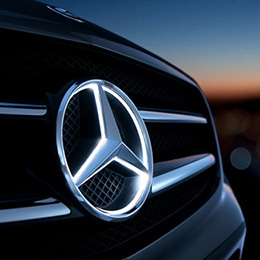 If you’re looking for an outstanding offer on a pre-owned Mercedes-Benz, you’ll want to explore our inventory of Certified Pre-Owned vehicles, which undergo a demanding inspection process and come standard with an unlimited mileage warranty. We also have a number of former demo and loaner vehicles. And we offer a competitive selection of luxury pre-owned vehicles from a variety of other manufacturers, each of which goes through a vigorous quality and safety inspection before hitting our lot. Once you’re ready to buy, our finance department will be there to provide easy, hassle-free access to competitive APR financing. And if you want to save time or even skip the showroom entirely, just click the Online Shopper button on our inventory search or vehicle detail pages. With Online Shopper, you can complete your purchase over the internet and have your new vehicle delivered to your home, or just get the process started and make your trip to the dealership a breeze. After your purchase, our service department staffed by highly experienced and certified factory-trained technicians will make sure your vehicle stays in top form. In addition, we offer brand new Mercedes-Benz loaner vehicles for use during repairs, as well as 24-hour towing and roadside assistance, should you ever need it. 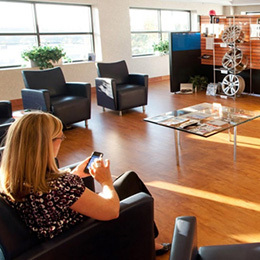 At Mercedes-Benz of Richmond, our mission is to do everything in our power to delight our customers, and to maintain a positive presence in our community through meaningful relationships with our local partners. We appreciate your business and look forward to delivering outstanding service at every step of your Mercedes-Benz journey.